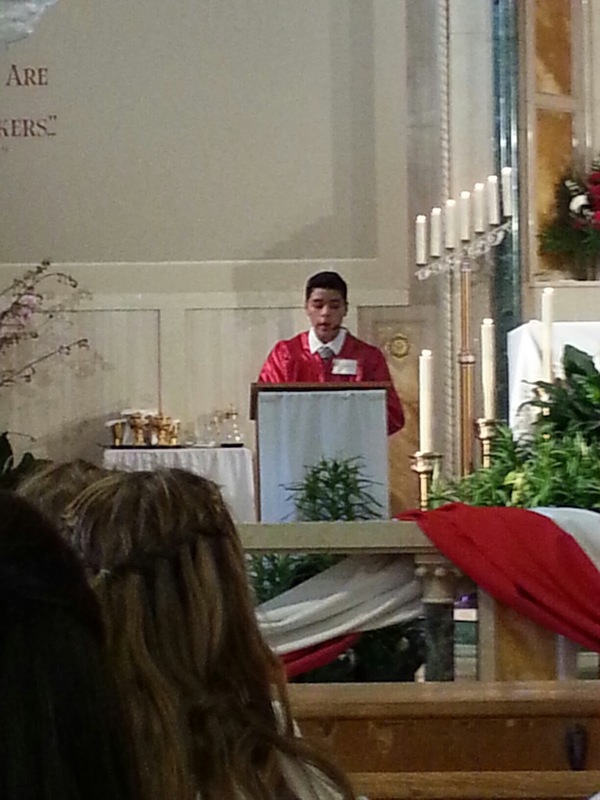 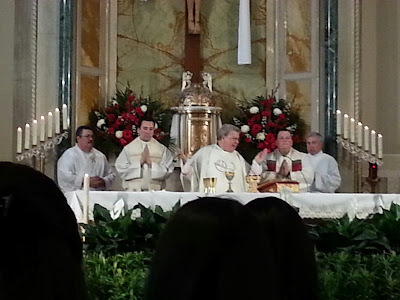 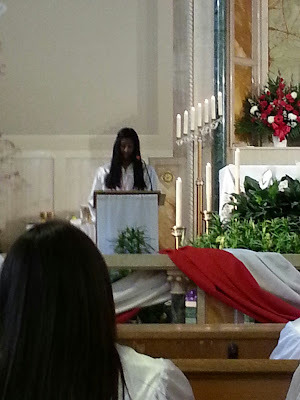 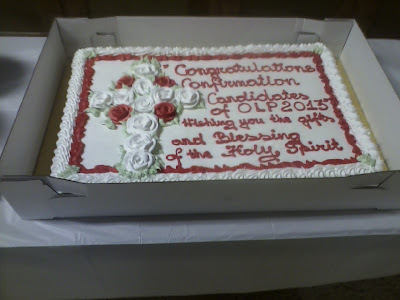 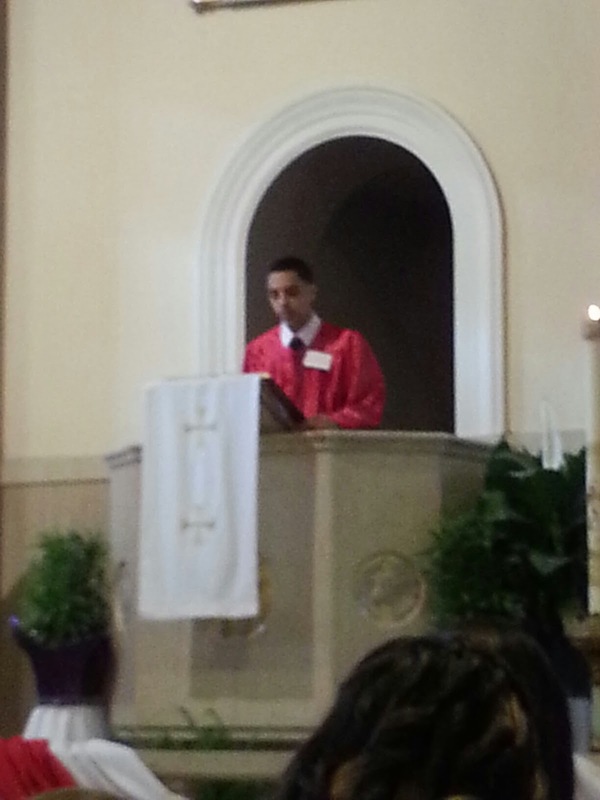 The 3:00pm Confirmation Mass was celebrated by Monsignor Andy. 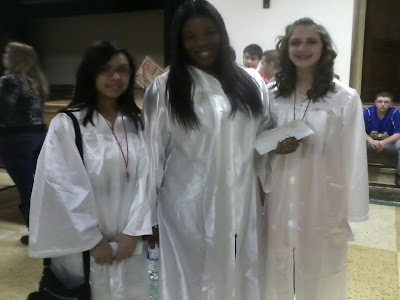 Our Lady of Peace 8th grade students. 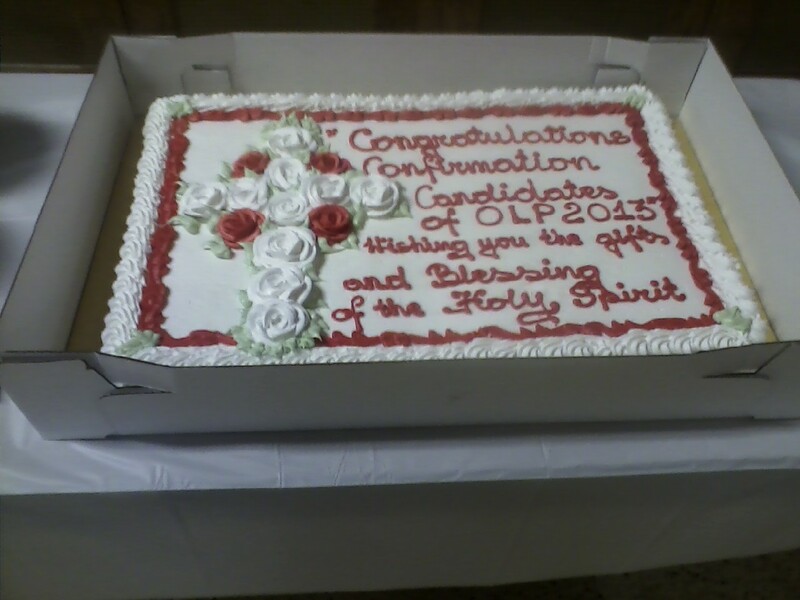 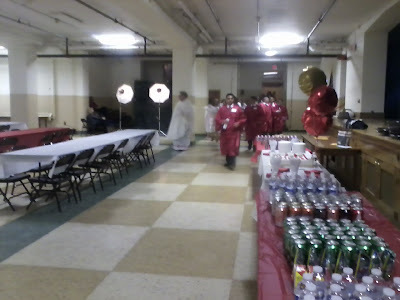 Immediately following the Confirmation 8th grader Robert Martin leads the students and their sponsors down to the cafeteria where refreshments were served compliments of the Our Lady of Peace Knights of Columbus.